Brown v. Board at 60Why Have We Been So Disappointed? What Have We Learned? 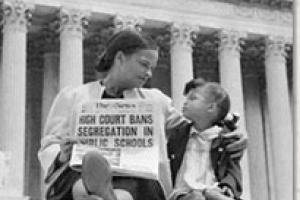 The Brown decision annihilated the “separate but equal” rule, previously sanctioned by the Supreme Court in 1896, that permitted states and school districts to designate some schools “whites-only” and others “Negroes-only.” But Brown was unsuccessful in its purported mission—to undo the school segregation that persists as a central feature of American public education today.